I've been waiting for the delivery guy last week for I know there'll be a surprise coming from someone. Last June 24, saw a delivery guy coming and I beamed when I saw that he has something for me. 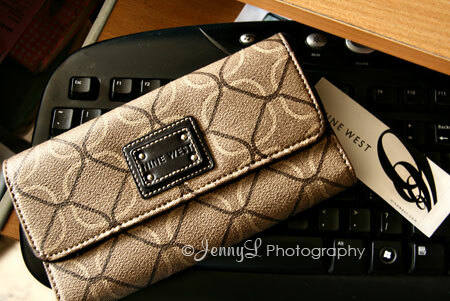 This Nine West wallet was a gift from my sweet friend in the US Cherry Rose -CHIKAI. Thank you so much Che. I love it! I'm using it already. So sweet of her to remember me and sent me something when her husband came home for a quick vacation here in Pinas.